Don't know about a long arm, but on a regular machine, there's an alignment mark to look for. Sometimes you can accidently knock the bobbin holder out of alignment when you change the bobbin (Ha! I typed "boobin"), and it won't work again until you get it lined up again. Check your manual for something about an alignment mark on the bobbin case, maybe in the troubleshooting section. That's probably all it is. It's probably just an engraved line or stamped mark. Might even check online. I'd check that before I'd call for service. You probably just knocked it out of place when you changed the bobbin. Does your manual tell you how to re-time it? I've done it with mine a few times, it's a nail biter for sure, but really not THAT hard, just follow it step by step. I remember mine had a needle with a MARK on it in the middle and I had to make sure the mark was at the right spot when going up and down, took a bit of work. and the more you do it, the more comfortable you'll be with it. 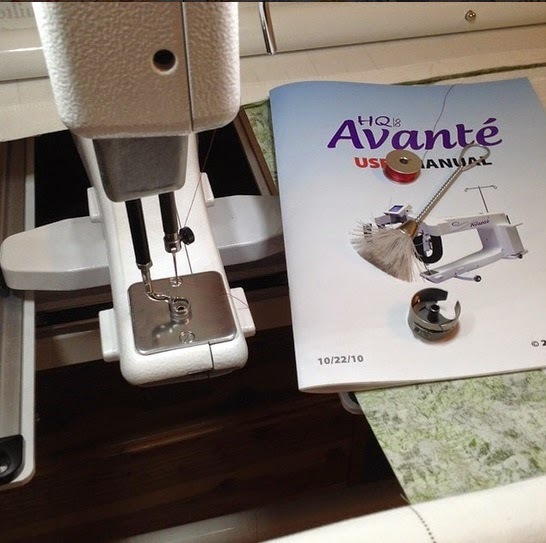 I can't time my own longarm - my eyesight isn't good enough, so my dear husband gets the job! I've only had to time my machine 3 times in over 5 years - yippee!! It isn't difficult, just fiddly as you have to get the hook to hit in the right place on the needle scarf! Luckily I have free 24/7/365 tech service so I can call them and have them walk me through anything! I'm so glad your MIL was able to help you out! 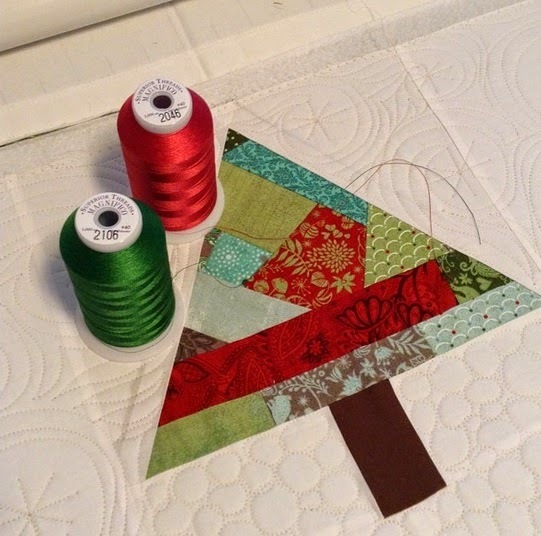 I think that when someone purchases a longarm, that is one of the things they need to walk you through in your training! At least if you have done it once with someone standing right there, it is easier to do using a manual or with a tech on the phone! Melissa ...have you ever read the yahoo group forms? I joined the group for sit down machines...there is a lot of info there,,but I am sure there must be a group for the long arms too. Awe!! I can't wait to see the finished quilt! Option 1 fabrics was my vote so I'm so glad you went with it!! Wow! Hope I never have to retime my Avante. I didit on my previous long arm once though. Love your trees!